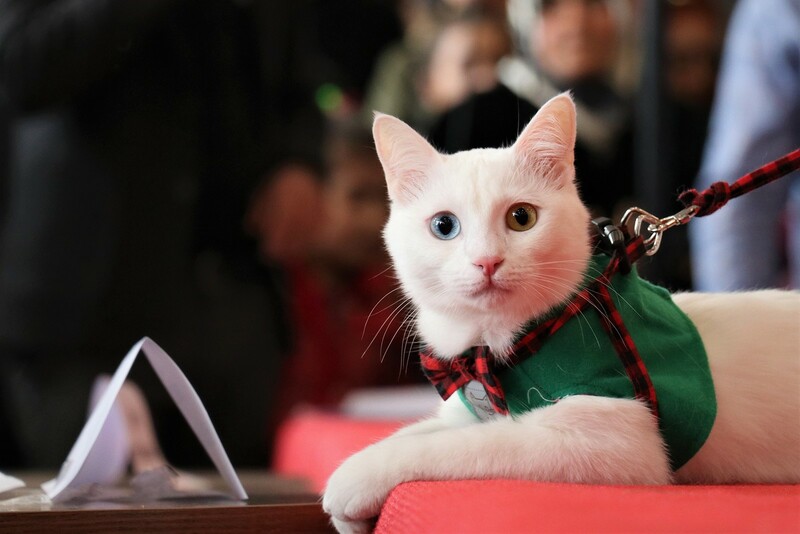 A Van cat named Spak won this year's Van Cat Beauty Contest held in eastern Turkey's Van province Sunday. The fourth annual competition was held as part of a festival in a shopping mall in the Ipekyolu district. Competing against 24 other Van cats, Spak took first prize by earning 95 points as the purest specimen of the breed's characteristics. 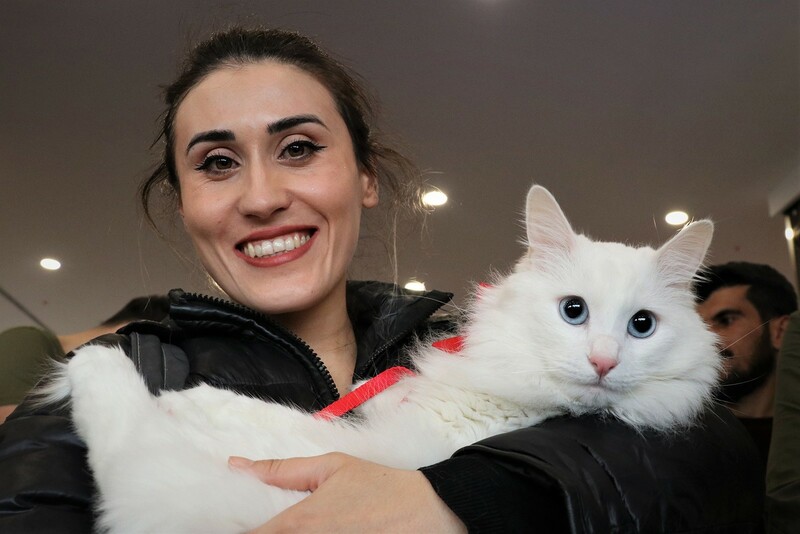 Spak's owner Burcu Utkaner Kaval, who said she has been taking care of Spak for two years, expressed her surprise and happiness that her cat won the title. The 2018 winner, Sezar (Caesar), who belongs to Yasemin Özdemir, took third place in this year's competition. The world-renowned Van cat breeds, which are admired for their duo-colored eyes, are also famous with their white silky fur, lion-like walk, and warm personality. 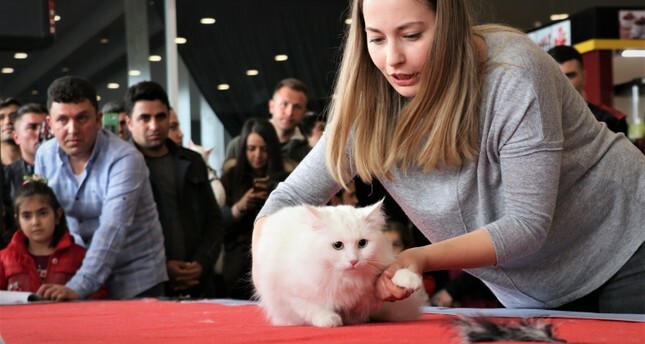 The Van Cat Beauty Contest is organized annually by the Yüzüncü Yıl University (YYÜ)'s Van Cat Research and Application Center, The center aims to raise awareness and preserve the pure bloodline of the Van cat through a breeding program that has significantly increased the number of purebred births in recent years. 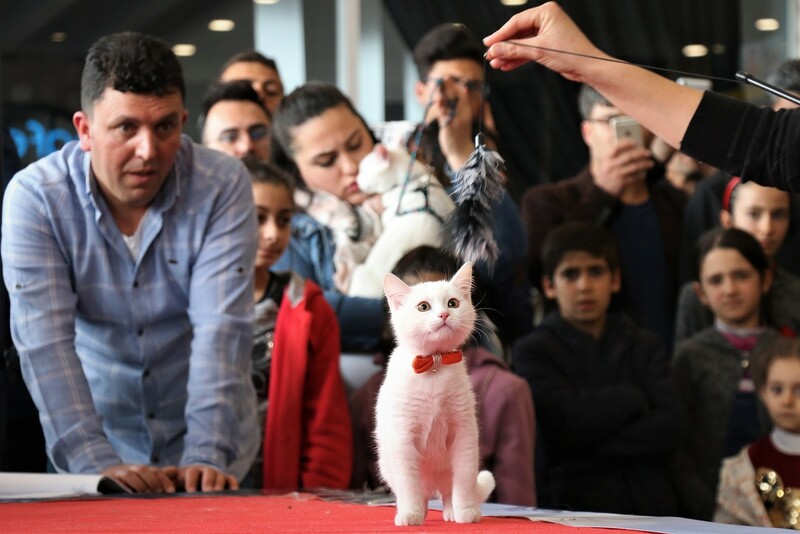 Professor Abdullah Kaya, director of YYÜ's Van Cat Research and Application Center, told Anadolu Agency that the contest aims to better promote the Van cats and create awareness about the risks faced by the breed, adding that these cats "are important cultural assets of the 4,000-year-old region."